Do you have an investigator's license? A photocopy of your telephone listing is required. Please note: We will provide this for you at no cost. The telephone listing for the rental property must be in a reputable telephone directory such as YellowPages.com, Whitepages.com, 411.com, or a National or State Trade Publication such as the National Apartment Association. It must state the business name (if applicable) or your name and show an appropriate business category such as "Real Estate Rental Service." The following packages are available to all members. Please describe the specific purpose for which the product information will be used. 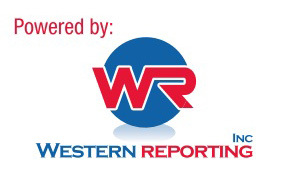 This User Service Agreement has been established by Western Reporting Inc., (hereafter referred to as the CRA) as of 02/03/2016. It contains requirements imposed upon all Users of Consumer Reports and/or any ancillary services as may be available for sale by the CRA. It is the responsibility of the User to fully understand and comply with all of its legal obligations as a User of Consumer Reports under the Federal Fair Credit Reporting Act, Gramm-Leach-Bliley Act Financial Privacy and Safeguarding Rules, FTC Disposal Rule and any other federal, state or local laws that may apply to the services the CRA provides. Consumer Information refers to Consumer Reports and other non-public, personally identifiable consumer information obtained from the CRA. Consumer Report shall have the meaning set forth in the Fair Credit Reporting Act (“FCRA”), 15 USC 1681(a)(d), as may be amended from time to time. For purposes of this Policy, the term Consumer Reports refers to those consumer reports or any information derived therefrom including, but not limited to scores, obtained from the CRA. End User/User refers to prospective and current customers of the CRA, to whom the CRA will furnish consumer information. I have read and understand the “FCRA Requirements” as listed in “Exhibit A” or “Exhibit B” and “Exhibit C- Notice to Users of Consumer Reports: Obligations of Users under the FCRA” and the CRA’s “Access Security Requirements” and will take all reasonable measures to enforce them within my facility. I certify that we will use the CRA’s consumer report information solely for the purpose outlined in the “Permissible Purpose/Appropriate Use” section of this application, and for the type of business listed on this application. I will not sell the report to any consumer directly or indirectly. I understand that if this information is used improperly by company personnel, or if company access codes are made available to any unauthorized personnel due to carelessness on the part of any employee of the company, I may be held responsible for financial losses, fees, or monetary charges that may be incurred and that my access privilege may be terminated. I agree to comply with all policies and procedures instituted by the CRA and required by the CRA’s consumer reporting Vendors. I understand that by not complying with any policies or procedures instituted by the FCRA, the CRA, CRA’s Vendors, any Federal, State or Local Laws that are applicable to consumer reports, my account may be subject to termination. I agree that the CRA or any of the CRA’s consumer reporting vendors shall have the right to audit my records that are relevant to the provision of services set forth in this Agreement. I further agree that I will respond within the requested time frame for the information requested. In accordance with the Agreement, I understand that the CRA may immediately suspend and/or terminate the Agreement in the event I fail to comply with any of the above. I am aware that in order to receive a Full Credit Product, I must successfully pass an onsite inspection of my principal place of business. The onsite inspection will be arranged through the CRA or a CRA Vendor. I understand that the onsite inspection fee has been incorporated into the setup fee and is non-refundable and there is no guarantee of being accepted for an account with the CRA. I recognize that the Owner or Authorized Officer or Manager must be present and available during the onsite inspection. I understand that if the onsite inspection results in a “Failed” status, additional measures and additional costs will be required in order to continue the application process with the CRA. Furthermore, in the event that my principal place of business changes, I will contact the CRA to arrange and pay for a new onsite inspection of the new location. I am aware that the Business or Owner/Authorized Officer as listed on the New Client Application of this Agreement will be charged for all requests entered online and that a setup fee will be charged upon account origination and an annual renewal fee will be required to keep the account active. Please be aware that all fees charged are non-refundable. Unless other payment arrangements are accepted by the CRA, credit cards will be billed upon order for owners of 50 units or less and once per month for owners of over 50 units. Late fees in the amount of $20 or 18% of the balance (whichever is greater) will be assessed to balances over 30 days old. Online accounts will also be subject to deactivation. 3 attempts will be made to verify all references provided. A “Final Report” will be sent after the 3rd attempt has been made on these references. A “Preliminary Report” will be sent to the client within 1 business day after receipt. The “Final Report” will be sent within 3 business days after a 3rd attempt has been made on all pending verifications. Criminal searches are pulled by name and verified by DOB. The CRA advises that you use government-issued ID to verify your applicant’s name, DOB and SSN prior to ordering your report. MultiState database searches, while expansive and cost-effective, are subject to limitations in coverage and of information related to offense descriptions and applicant identifiers. For the most thorough screening, direct-court county criminal searches should accompany any database search for all counties in which an applicant has lived, worked or been educated. These criminal searches should also be run for all AKA’s. 1. You must protect your Consumer Reporting Agency account number and password so that only key personnel know this sensitive information. Unauthorized persons should never have knowledge of your password. Do not post the information in any manner within your facility. If a person who knows the password leaves your company or no longer needs to have it due to a change in duties, the password should be changed immediately. 2. System access software, whether developed by your company or purchased from a third party vendor, must have your Consumer Reporting Agency account number and password “hidden” or embedded and be known only by supervisory personnel. Assign each user of your system access software a unique logon password. If such system access software is replaced by different access software and therefore no longer in use or, alternatively, the hardware upon which such system access software resides is no longer being used or is being disposed of, your password should be changed immediately. 11. Please be aware that there are laws governing the release of a credit report to an individual. In cases of Tenant Screening - If you wish to deny the applicant on the basis of credit, give him/her a denial letter. They can submit that to us along with their Driver License/State ID Card within 60 days of the report date and we will provide them a copy of their credit report. If you wish, you may provide a “Consumer Copy” of the report to your applicant within 30 days of the application date. Copies of the denial letter and Consumer Copy forms are available through our website or by calling Customer Service. For Employment - Special provisions under the FCRA apply. Please call our office to obtain copies of the "pre-adverse condition" and "adverse condition" letters that need to accompany a copy of the report being sent to the applicant. 12. End User will request Scores only for End User’s exclusive use. End User may store Scores solely for End User’s own use in furtherance of End User’s original purpose for obtaining the Scores. End User shall not use the Scores for model development or model calibration and shall not reverse engineer the Score. All Scores provided hereunder will be held in strict confidence and may never be sold, licensed, copied, reused, disclosed, reproduced, revealed or made accessible, in whole or in part, to any Person, except (i) to those employees of End User with a need to know and in the course of their employment; (ii) to those third party processing agents and other contractors of End User who have executed an agreement that limits the use of the Scores by the third party only to the use permitted to End User and contains the prohibitions set forth herein regarding model development, model calibration, reverse engineering and confidentiality; (iii) when accompanied by the corresponding reason codes, to the consumer who is the subject of the Score; (iv) to government regulatory agencies; or (v) as required by law. It is important that you keep credit applications with a signed release on file for a period of 5 years. This will help to facilitate the investigative process if a consumer claims that your company inappropriately accessed their credit report. However, you may keep the actual copy of the credit report on file for only 6 mos. (the credit report may be used only once). After 6 months you are obligated to shred the report. “Under Section 621 (a) (2) (A) of the FCRA, any person that violates any of the provisions of the FCRA may be liable for a civil penalty of not more than $2,500 per violation. The first section of this summary sets forth the responsibilities imposed by the FCRA on all users of consumer reports. The subsequent sections discuss the duties of users of reports that contain specific types of information, or that are used for certain purposes, and the legal consequences of violations. If you are a furnisher of information to a consumer reporting agency, you have additional obligations and will receive a separate notice from the CRA describing your duties as a furnisher. Section 604(f) of the FCRA prohibits any person from obtaining a consumer report from a consumer reporting agency unless the person has certified to the CRA (by a general or specific certification, as appropriate) the permissible purpose(s) for which the report is being obtained and certifies that the report will not be used for any other purpose. If a person denies (or increases the charge for) credit for personal, family, or household purposes based either wholly or partly upon information from a person other than the CRA, and the information is the type of consumer information covered by the FCRA, Section 615(b)(1) of the FCRA requires that the user clearly and accurately disclose to the consumer his or her right to obtain disclosure of the nature of the information that was relied upon by making a written request within 60 days of notification. The user must provide the disclosure within a reasonable period of time following the consumer's written request. Section 605(h) requires nationwide consumer reporting agencies, as defined in Section 603(p), to notify users that request reports when the address for a consumer provided by the user in requesting the report is substantially different from the addresses in the consumer's file. When this occurs, users must comply with regulations specifying the procedures to be followed. Federal regulations are available at www.consumerfinance.gov/learnmore. 1. Electronic Signature Agreement. By selecting the "I Accept" button and typing your legal name in the signatures section, you are signing this Agreement electronically. You agree your electronic signature is the legal equivalent of your manual signature on this Agreement. By selecting "I Accept" you consent to be legally bound by this Agreement's terms and conditions. You further agree that your use of a key pad, mouse or other device to select an item, button, icon or similar act/action, or to otherwise provide the CRA instructions via internet, or in accessing or making any transaction regarding any agreement, acknowledgement, consent terms, disclosures or conditions constitutes your signature (hereafter referred to as "E-Signature"), acceptance and agreement as if actually signed by you in writing. You also agree that no certification authority or other third party verification is necessary to validate your E-Signature and that the lack of such certification or third party verification will not in any way affect the enforceability of your E-Signature or any resulting contract between you and the CRA. You also represent that you are authorized to enter into this Agreement for all persons who own or are authorized to access any of your accounts and that such persons will be bound by the terms of this Agreement. You further agree that each use of your E-Signature in obtaining the CRA’s service constitutes your agreement to be bound by the terms and conditions of the CRA’s Disclosures and Agreements as they exist on the date of your E-Signature. 2. Consent to Electronic Delivery. You specifically agree to receive and/or obtain any and all CRA related "Electronic Communications" (defined below) via email. The term "Electronic Communications" includes, but is not limited to, any and all current and future notices and/or disclosures that various federal and/or state laws or regulations require that we provide to you, as well as such other documents, statements, data, records and any other communications regarding your relationship with the CRA. You acknowledge that, for your records, you are able to use the CRA to retain Electronic Communications by printing and/or downloading and saving this Agreement and any other agreements and Electronic Communications, documents, or records that you agree to using your E-Signature. You accept Electronic Communications provided via the CRA as reasonable and proper notice, for the purpose of any and all laws, rules, and regulations, and agree that such electronic form fully satisfies any requirement that such communications be provided to you in writing or in a form that you may keep. 3. Paper version of Electronic Communications. You may request a paper version of an Electronic Communication. You acknowledge that the CRA reserves the right to charge you a reasonable fee for the production and mailing of paper versions of Electronic Communications. To request a paper copy of an Electronic Communication contact us at (801)-308-0005. 4. Revocation of electronic delivery. You have the right to withdraw your consent to receive/obtain communications via electronic delivery from the CRA at any time. You acknowledge that the CRA reserves the right to restrict or terminate your access to the CRA if you withdraw your consent to receive Electronic Communications. If you wish to withdraw your consent, contact us at (801)-308-0005. 5. Valid and current email address, notification and updates. Your current valid email address is required in order for you to obtain the CRA’s services. You agree to keep the CRA informed of any changes in your email address. You may modify your email address by submitting a written request to the CRA, or by submitting an email to the CRA from your new email address with "email address change" as the subject of the email. The CRA may notify you through email when an Electronic Communication or updated agreement pertaining to the CRA is available. It is your responsibility to check for Electronic Communications and to check for updates to this Agreement. you may have with the CRA. To the extent that this agreement and another agreement contain conflicting provisions, the provisions in this agreement will control (with the exception of provisions in another agreement for an electronic service which provisions specify the necessary hardware, software and operating system, in which such other provision controls). All other obligations of the parties remain subject to the terms and conditions of any other agreement. I certify that all information provided to the CRA is true and accurate. I declare that the use of the products and services provided by the CRA is solely for the permissible purpose stated herein and in accordance with the terms of the End User Service Agreement. I hereby authorize the Bank Reference to release information to the CRA. I understand that by completing the section below, I authorize the CRA to obtain my credit information, and that said information may be considered in the application approval process. I further warrant the use of the provided credit card information for the payment of charges incurred by utilizing the products and services of the CRA. The fax cover sheet below lists all of the additional documents required to start your application. You can either attach electronic files with the [Choose File] button, e-mail or fax copies to us. I need to fax, e-mail or phone in my bank account number(s) or a voided check.